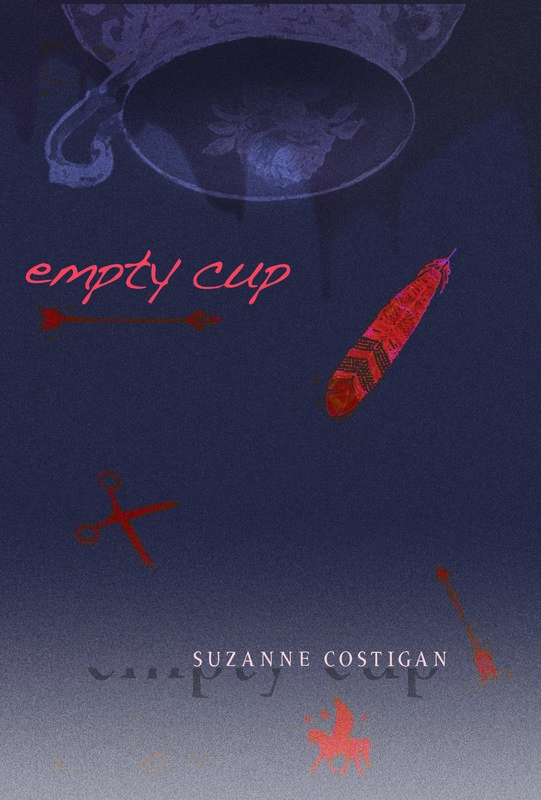 Empty Cup is Suzanne’s first novel.While she wrote it, Raven came alive in her mind. So alive, that there were several nights where she woke up to Raven screaming at her to write — which she did. As odd as this experience was, Suzanne would welcome it to happen again and again. The sleepless nights were worth it. The story takes place in Winnipeg, Manitoba, Canada. The teens walk from the area where they live, Elmwood, to the Forks. Photos of the walk from Elmwood to The Forks. 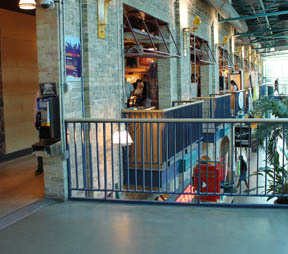 Many scenes take place at The Forks, Winnipeg’s prime tourist attraction. 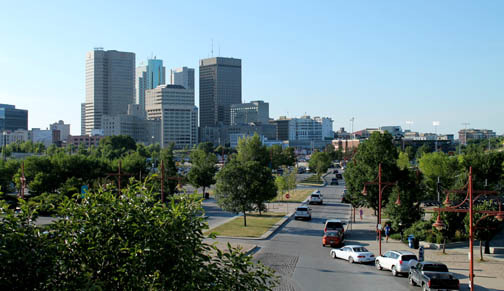 The view of downtown from the top of The Forks parkade. 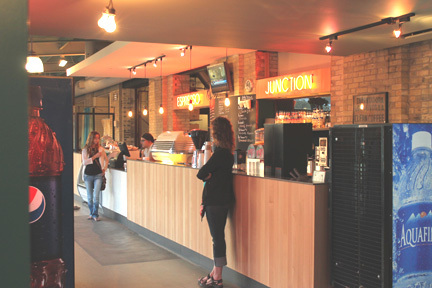 Johnston Terminal (the building above) houses Espresso Junction, (below) the coffee shop where Raven works. In the novel, the shop is called The Funky Bean. 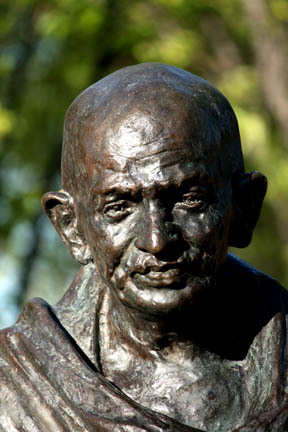 This statue of Gandhi is where Raven, Lyla, Marissa and Troy meet up with a stoned Cole in Chapter 2. 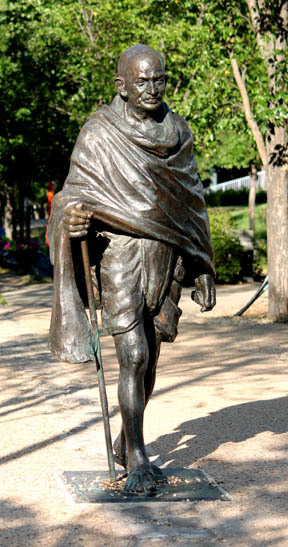 Raven feels a connection of peace with the statue and it plays a prominent part in the story. 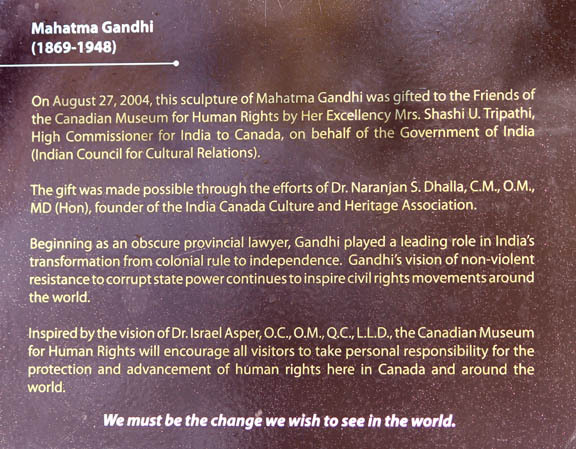 The Gandhi Statue outside of the Canadian Museum for Human Rights. 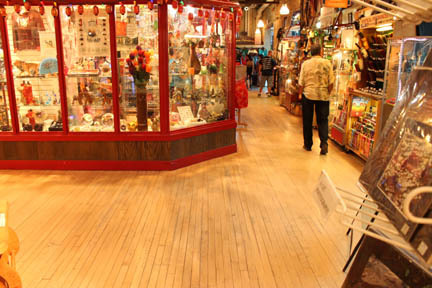 Inside the Forks Market building, the picture on the left shows the balcony kiosk where Raven spies a necklace that she likes. The picture below to the right, well, Cole pukes here. 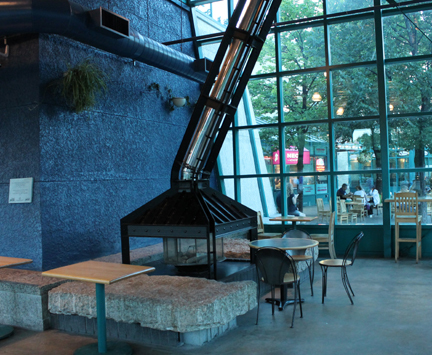 The fireplace inside the skate changing area of the Forks Market building. Raven warms up here after a major turning point in the story. 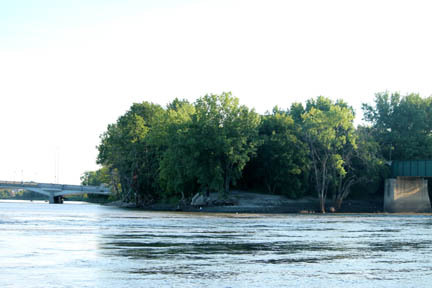 The confluence where the Assiniboine River runs into the Red River. This is the riverbank where Raven and Cole sit to chat. Winnipeg’s downtown at dusk, taken from the look out tower at the Forks Market.